"Unapologetically sneering at big beer since 1992"
It was a dry and partly sunny day when I drove over to meet Heiko Giesberg, co-owner and brewmaster at New Paltz Brewing Company in Wawarsing, NY (a small enclave in the Route 209 corridor of Ulster County). Upon arriving, I met his brother Jeff out in the parking lot, who was putting out their “Bier” sign at the road’s edge to let passersby know that the taproom was open. Jeff escorted me around the back of the building to the brewhouse, where I met Heiko. 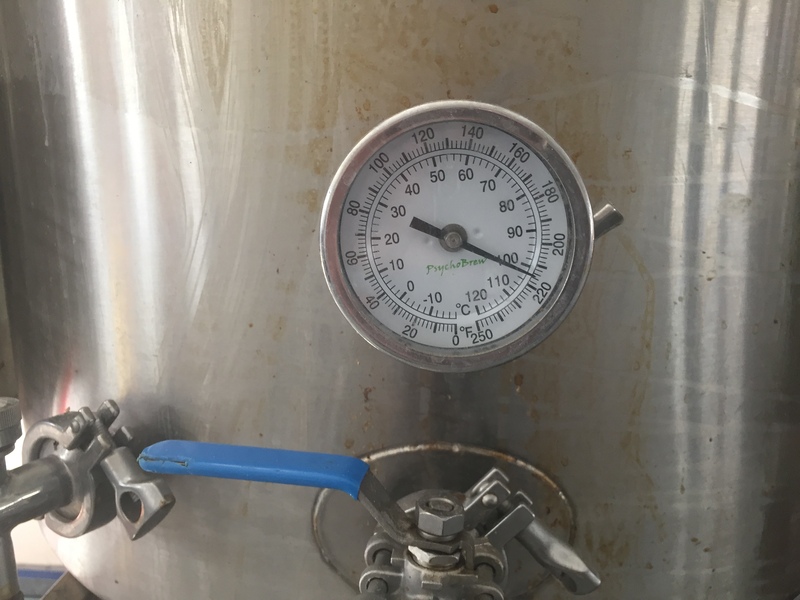 I then spent the next 45 minutes or so getting a first-hand look at the brewing operation, where he walked me through the chapter and verse of his brewhouse process as he worked on his latest batch. Heiko is from the Saugerties area originally, but grew up in north-central New Jersey, before ultimately returning to the place of his roots in the Hudson Valley. Having always been interested in beer and brewing, he and Jeff founded the New Paltz Brewing Company in 2013, and in their early days, Heiko brewed 12-gallon batches at a farm stand in West Park. 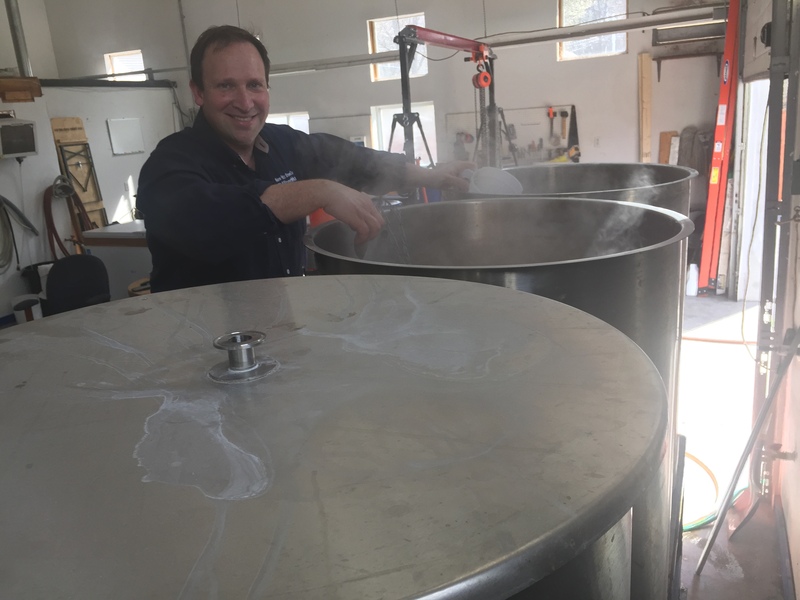 In 2015, they found the property in Wawarsing, which allowed them to brew on a larger scale, and where they now have a kegging and bottling operation. And their taproom opened officially in October of 2016. Being of German heritage and having actually spent several months last year brewing in Germany, Giesberg adheres largely to the ‘reinheitsgebot‘ standard, which is the Bavarian purity law of 1516 dictating that only water, barley, hops and yeast may be used in the brewing process. This law was mainly economic in its basis, as the Bavarians did not want rye and wheat to be used in brewing for fear it would drive up the price of bread, and cause economic stress on the baking industry. The law has since been modified to include all malted grains, and contains some other provisions that allow for broader distribution of product. Although not actually in New Paltz itself, the brewery takes its name from the influence of the Huguenots, who originally left France for fear of religious persecution and fled to neighboring Germany. Some remained there, but others followed the Dutch to the new world, settling in what is now New Paltz, and naming the town after the Pfalz region of Germany from which they emigrated. Pfälzerbräu – the branded name of New Paltz Brewing Company – is a tribute to the Huguenots of New Paltz. Giesberg told me that the most prominent guiding principle in his brewing process is experimentation. He loves trying new things, and to that point, I watched him as he steeped his latest batch of hefeweizen with a mesh bag full of orange peels. This devotion to experimenting with beer is one of the things that puts the word “craft” into the craft beer industry. Brewed and crafted by hand, with love and passion for the art form as the driving factors for each and every batch’s success. After my extremely informative tour and observation time in the brewhouse, Heiko took me into his tap room, where Jeff was already serving fresh lagers and ales to local patrons. Jeff gladly walked me through samples of each beer on their list, from the German ale style known as Altbier (translating to “old beer”), to a Grätzer, which is a smoked wheat. Of all of their taproom offerings, the only one I would say I didn’t enjoy was the Keller, and it was not for lack of its quality or trueness to style. I think it’s just that this particular variety of German lager doesn’t appeal to the tongue of the affirmed ale lover in me. The Sauerkraut beer was interesting, and when I asked Heiko “does it really taste like sauerkraut?,” he promptly replied “It sure does!” And how this very distinctive flavor is accomplished is primarily through the use of hops and yeast. Heiko was right – this one was a sauerkraut “bazinga!” if ever there was one. Believe it or not, I had a whole glass, and loved it. But my favorite offering from Giesberg’s brewhouse is the Hefeweizen. Done perfectly to style, with the flavor of the wheat taking front and center, it was a little maltier than most other hefeweizens you’ll try, which appealed to me immensely. 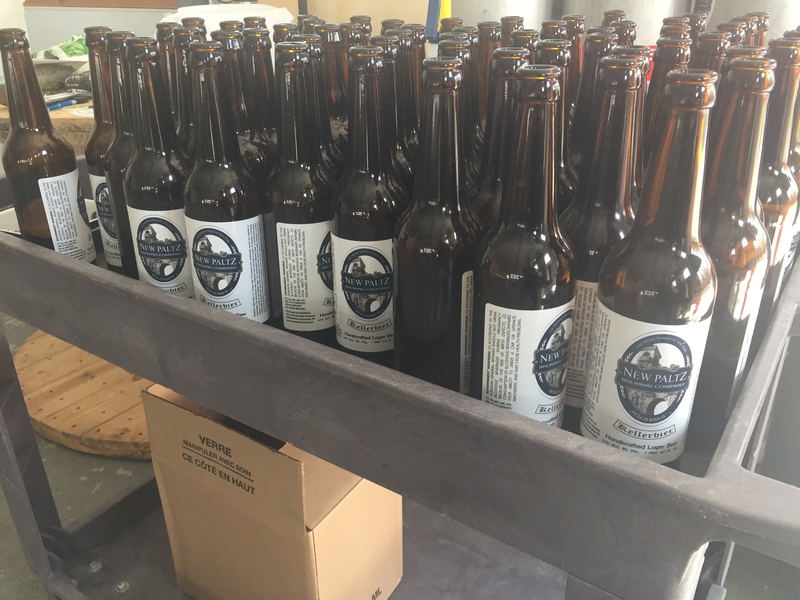 If you enjoy great craft beer brewed in the German tradition, you owe it to yourself to visit the New Paltz Brewing Company, where the Giesberg brothers are setting standards for quality that you’ll be pleased with. Forget about us, we want to know about YOU! Where do you seek out quality craft beer? What's the best you've ever had? Are you a snob like Todd?